Pedagogy First is a Programme for Online Teaching Certificate Class run by Lisa Lane and her colleagues at Miracosta College. The class is free, offered by the Program for Online Teaching (not an accredited institution), run by volunteer faculty and participants, and open to everyone. We offer a certificate for those who fulfill the syllabus requirements, and open participation for anyone not interested in the certificate. The course started in September – broke for Christmas and started again a couple of weeks ago. It will continue to run until the end of April. Participants are very enthusiastic and many seem to be ‘flying’ in the development of their ability to use technology to enhance their teaching. It is great to see participants experimenting with different technologies and being confident enough to share these with others. Last week the focus was on images and screenshots and explored the use of Flickr, Mbedr and the annotation of photos. There were a number of great blog posts this week, but Norm Wright’s introduction to a 3D rotating image cube caught my attention. This week the focus has been on Audio and Video with equally successful results. For example, Trisha Hanada Rogers was on the course last year and this year has come back to demonstrate how she uses what she has learned in her teaching. 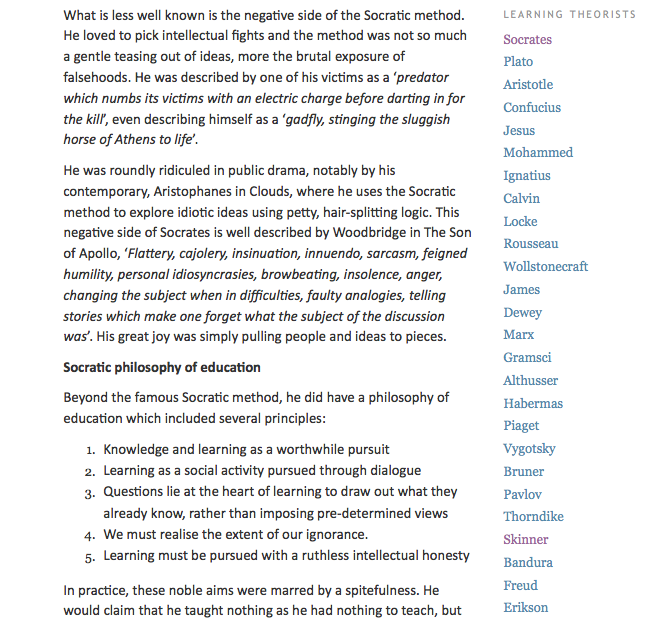 For more examples of how participants are experimenting with new tools see the Pedagogy First site. 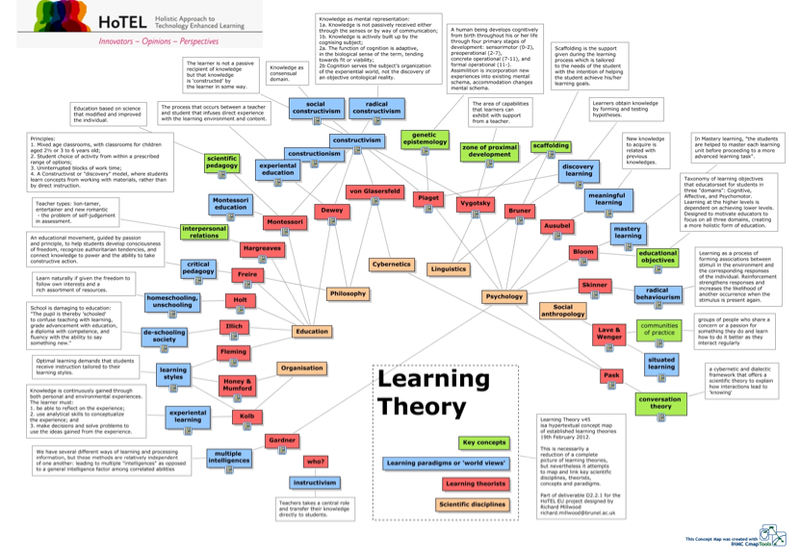 I have been invited to talk about learning theory later on in the course. I know now, having seen the work produced by participants in the last two weeks, that I cannot match their technical skills, but hopefully I will be able to contribute some ideas from my past teaching and learning experience. I’m looking forward to seeing what’s on offer in the next weeks of Pedagogy First. This was the title of a talk given by Dean Shareski to ETMOOC last week. Dean is always entertaining to listen to and for me there is no doubting his sincerity and passion for his belief in sharing as accountability. But Dean and I don’t really see eye to eye about sharing as accountability, as testified by the discussion generated by this blog post more than a year ago. From his talk to ETMOOC, I don’t think either of us have shifted our positions that much, although in this talk he did not explicitly mention sharing as a moral imperative and he did ask participants what the dangers of sharing might be. However, at one point, he still said ‘You should feel guilty if you are not sharing anything’. Is there a hint of taking the moral high ground there? To be fair I think these comments are usually made (but not always) in the context of teaching. As David Wiley has evidently said, it is pretty impossible to teach without sharing. But do we have a common understanding of what we mean by sharing? sharing as a reciprocal relationship involving mutuality and interdependence? sharing of thoughts and feelings in social communication? sharing as altruistic giving and distribution? Work by Gintis, Bowes, Fehr and Gächter indicate that strong reciprocity among humans is egoistic, not altruistic or cooperative, and depends on aggressive punishment of cheaters. So maybe sharing is not all it is cracked up to be? 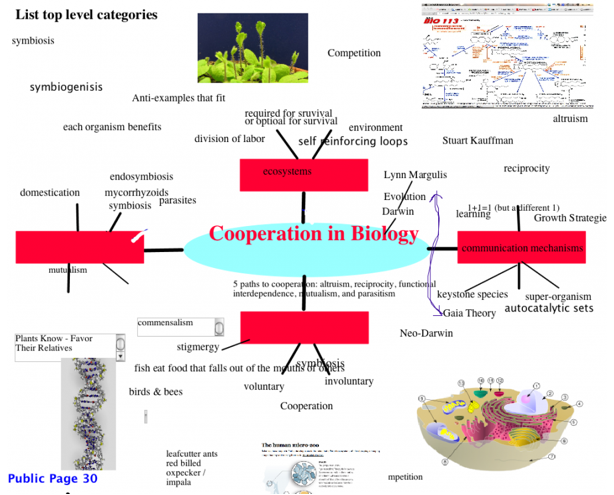 All this is on my mind because of the work I am doing on Howard Rheingold’s Towards a Literacy of Cooperation course and my thinking about how sharing, cooperation and collaboration inform each other. I will be surprised if I come out this course without having undergone a shift in my understanding, so maybe the next time I see/listen to Dean talk it will be through a different lens.